The sun has just come up and I know I must get out of bed to fetch water for my family before they all wake up. The journey to get water each day is tiring, but I know that my family needs water to drink and there is a pile of laundry that needs to be done today, as there always is. I am concerned that my children will stay healthy, so many children in my village have died because of the water and lack of food that we have here. But I am also hopeful. My children have been attending the Compassion project and they come home excited, sharing about God the Father who takes care of His children. I am trying to learn more about God, but there are so many things I must do to take care of my family each day. This new baby that I am carrying, I want him or her to be born healthy. 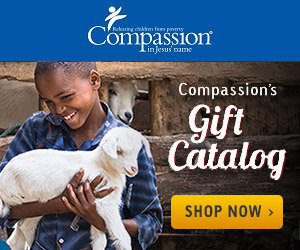 Before my children starting attending the Compassion project, I had lost two babies because they got sick after they were born and we did not have the ability to save them. With the help of someone I have never met, I am able to attend the Compassion project also once a month. They teach me about God. They teach me about nutrition and ways to help me be a good mother. I am so thankful for the many women who take the time to pour into my life. Maybe it is time for me to accept God as my Savior too. This is a fictional story, but one that could be happening in one of the countries where Compassion helps moms and babies through the Child Survival Program. Many children in impoverished areas do not even survive until their third birthday. But with the help of Compassion and the Child Survival Program, many moms are receiving pre-natal care, get proper nutrition, and learn about the love of Jesus. This Mother’s Day, would you consider helping a mother and her family? You can make a one-time donation or you can make an ongoing monthly contribution. Whatever you choose, I pray that you have a blessed Mother’s Day! This post has been written as part a Compassion Blogger’s assignment. You can learn more about Compassion Blogger’s here.